Testosterone BoostersFireSnake Elysium - ZMA - 90 kaps. Highly anabolic effect of the preparation using ZMA - appropriately selected proportions of Zinc, Magnesium and Vitamin B6 enriched Pantothenic Acid and L-methionine. 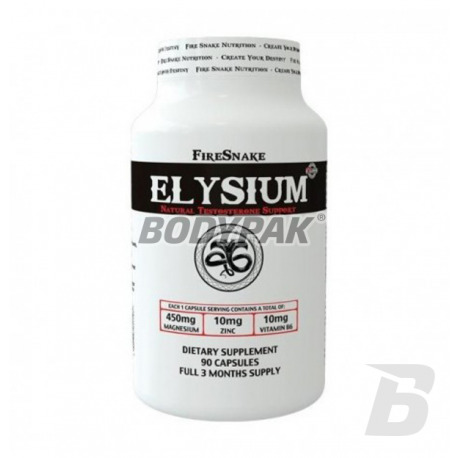 FireSnake Elysium - a strong anabolic effect of the preparation using ZMA - appropriately selected proportions of Zinc, Magnesium and Vitamin B6 enriched Pantothenic Acid and L-methionine. 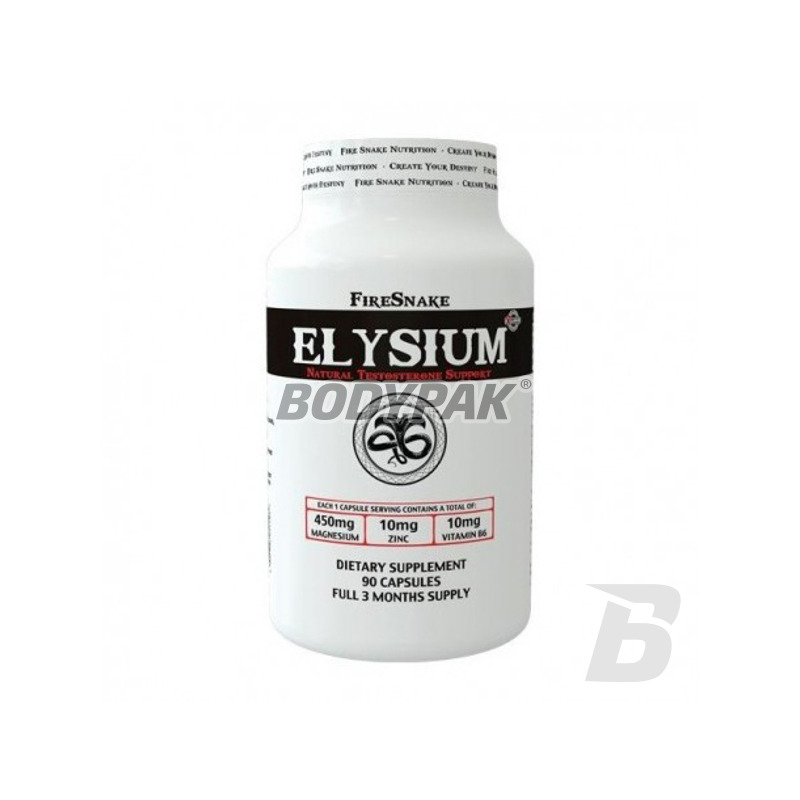 Using Elysium significantly improves the quality of sleep and regeneration of the rest of the body, increases the level of endogenous testosterone, lowers levels of stress hormones and increases the adaptability of the body. ZMA is used successfully for many years in the supplementation - our formula is more advanced composition, and at the same time is very economical, because all the active ingredients we were able to fit in one capsule, creating the most concentrated commercially available formula ZMA. Bardzo ekonomiczny produkt. Jedno opakowanie starcza aż na 3 miesiące! Rewelacja ;) działa jak każde inne w mojej opinii.